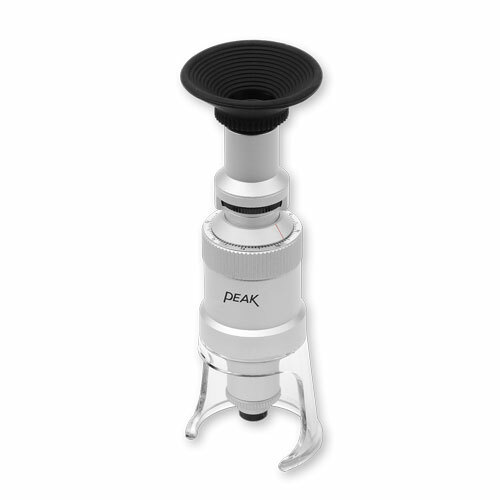 Peak Stand Microscope is a small size, lightweight and conveniently portable microscope. 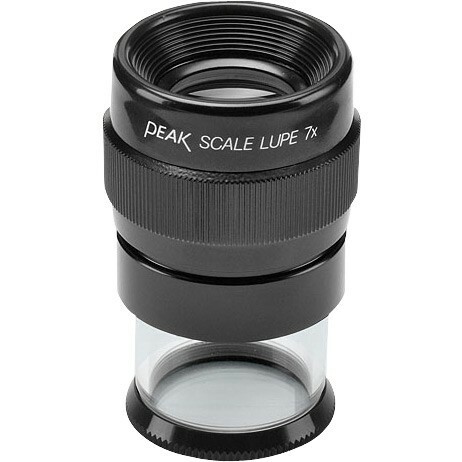 It is designed to cover the range in between the high-grade, heavily equipped microscopes and the various magnifiers 3x-30x) developed by Peak. 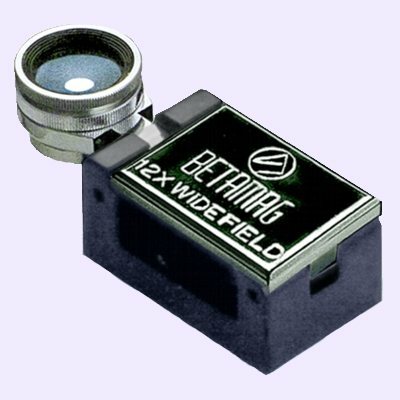 It can easily, speedily and accurately catch the subject to be examined with its bright and superior resolving power and smooth-working mechanism. This microscope is convenient for measuring the thickness, height or depth of subjects having different levels and for measuring the depth of items like print cylinders, printing plates and other similar applications. 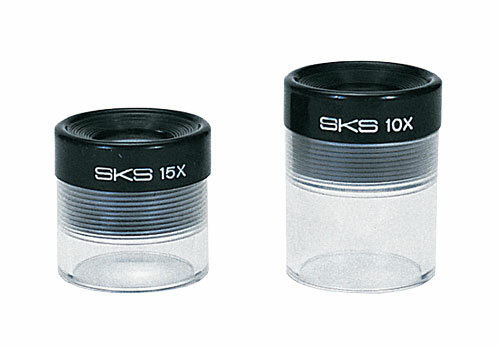 The precision made focusing ring, simplifies operation, and the attachable/detachable rubber eyepiece increases the ease in operation. 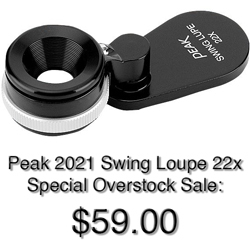 The lens barrel of the eyepiece is the visibility adjustment ring. First turn this ring and set it at the position where the scale can be seen clearly. Then turn the focusing ring refocus on the next level. 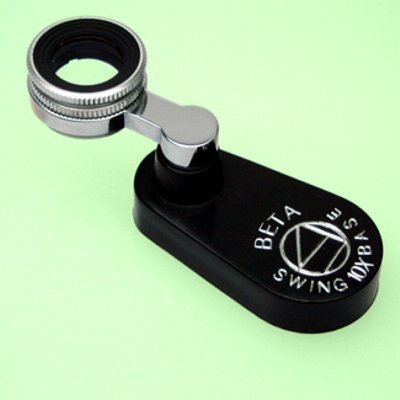 By reading the scale engraved on the focusing ring and the main needle of the lens barrel, depths can be measured with the accuracy of 0.1mm (.004"). This scale can be easily interchanged according to use. Three kinds of scales-standard, for tooling, for printing are available. 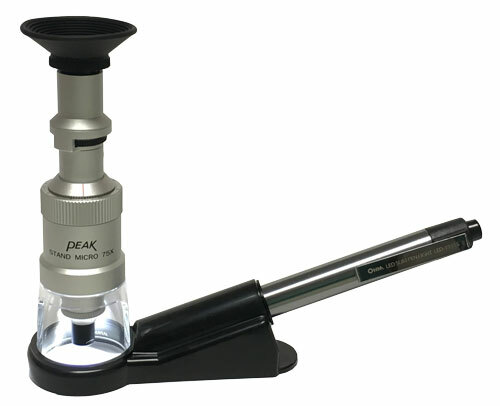 Peak Stand Microscope is ideal for use in factories, inspection rooms and research laboratories. 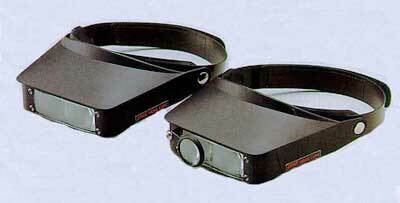 Replacement parts, Base, Pen Light, Holder and Reticles shown below.